I’m doing a writing project for the month of October. 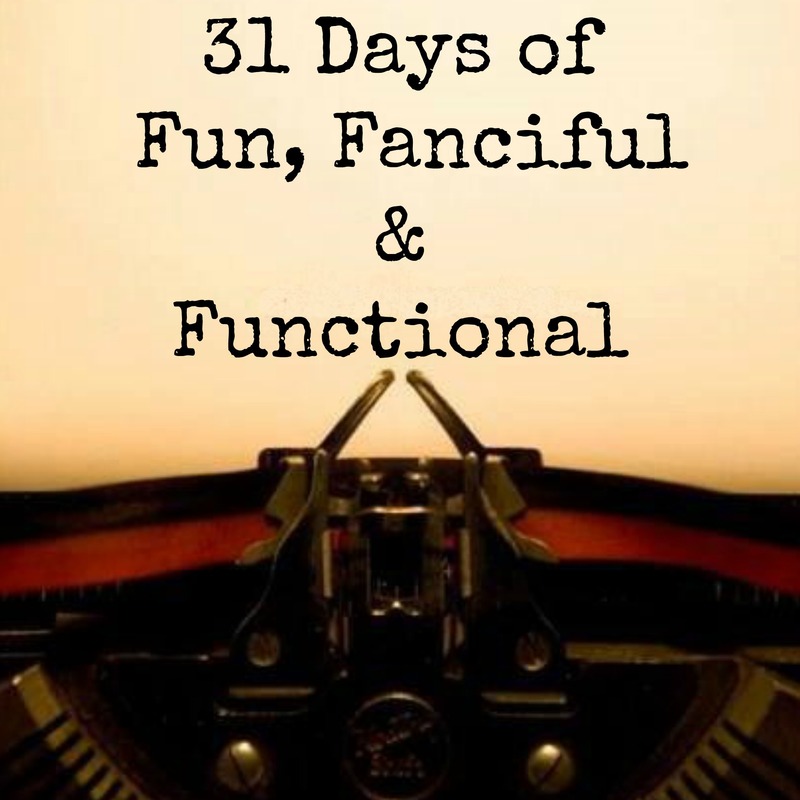 31 Days of Fun, Fanciful & Functional. Basically it’s what I already post, but it’s a monthly/daily challenge. This is where all the posts will show up as a directory, other than my main page. So sit back, enjoy and have some fun. I got the idea from Mrs. Austen who told me about Myquillyn Smith, author of The Nesting Place (I wrote a review) who is doing a 31 Days challenge. So check it out. It starts October 1st! All You Need Is… A Tiara? I’m Not Going To Feel Guilty!